Today, 7th February 2019 the International Career Days at Varna University of Management were opened. The purpose of the event is to offer various internship programmes and job opportunities for students, graduates and young people from Varna and the region, by establishing direct contact between employers and candidates. Employers from over 30 local and international companies operating in Bulgaria, Portugal, Spain, UK, Ireland, Sweden, Greece and others take part in the initiative. Among the presented companies are Pine Cliffs (Marriott International), IPRACTICE COSTA BRAVA, Good Time Group O.E., ATLANTICA HOTELS and RESORTS, Sani Resort & Ikos Resorts,Training Experience SL, GR8 Recruitment, European Student Placement Agency, STP BULGARIA Ltd., Fantastic ServicesInternational Hotel Casino & Tower Suites, Lighthouse Golf and SPA Hotel, Sitel, The Taxback Group, Miraggio Thermal Spa Resort, Immedis, Hotel Golden Tulip Varna, Easy Consult. The internships and jobs offered by them are in the fields of tourism and hospitality, business management, marketing, finance, outsourcing, information technologies, human resources, transport and logistics. 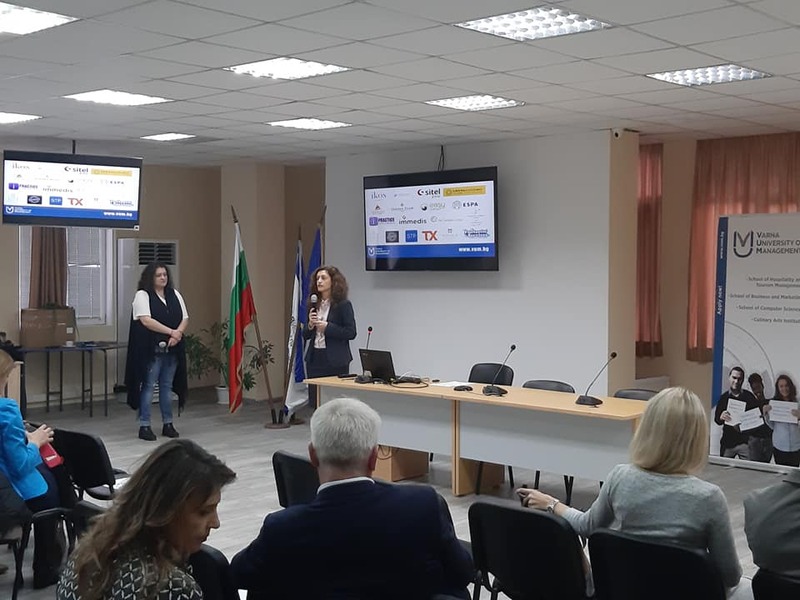 The International Career Days were opened by Mrs. Maria Polimenova – Marketing Director of Varna University of Management Mrs. Salzina Georgieva – Head of the Career Center at the University. The program on the first day of the event continued with presentations of the employers, who provided detailed information about the companies they represented, the positions announced and the requirements to be met by the candidates. The event will continue tomorrow, February 8th, with direct communication between employers and candidates and job interviews. Participation is completely free. International Career Days are opened to all motivated young people from Varna and the region looking for a successful professional realization.